Did you out of the blue loose all your data stored in your Toshiba laptop? Unable to find the cause? Then why not try our service. Creative IT has the laptop data recovery experience you necessitate in recovering data from all types of notebook failures. Whether it is due to an accidental file deletion, corrupted database, hard drive failure or deleted tables or system objects; Creative IT is always at your service. Let it be any unpredictable problems we, at Creative IT are proficient enough to resolve a comprehensive range of problems, one of which is our Toshiba laptop data recovery service. Creative IT, being a top-notch data recovery company based in Central London, UK, is acknowledged for our unsurpassed quality, competitive rates and quick on-site data recovery services. Our engineers and technicians are unquestionably hard drive recovery experts, who are equipped with the necessary tools and possess proven in-depth knowledge of hard-disk technologies to ensure your data is recovered productively. They are capable of recovering your precious data from all models of Toshiba laptops including Toshiba Satellite Series, Toshiba Portege Series, Toshiba Tecra Series and Toshiba Qosmio Series. Supplemented with a pool of trained and experienced IT technicians, committed support staff, exceptional laboratory facilities and cutting edge data recovery tools, Creative IT persists to deliver incomparable laptop repair, upgrade and maintenance services for clients in and around London, UK. One of the highly appreciated features of our Toshiba data recovery service is that we specialize in same day onsite recovery. At just a call out service based on 2 hour response time, our experts reach your place at your home or office to resolve the problem, mostly onsite. We carry your Toshiba laptop to our offsite data recovery center only for extremely critical problems that needs careful analysis. But for any reason we give surety to return your equipment in tip top working condition within the next 28-48 hours. 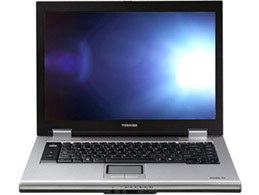 We also offer evening and weekend Toshiba laptop data recovery services. Our experts are adept in recovering your valuable data from almost all types of data storage media and systems. If you would wish to avail of Creative IT’s Toshiba data recovery service in London, UK, just e-mail us at info@creativeit.tv or dial us at 020 7237 6805.